All people, whether members of St. John Lutheran Church or not, are welcome to use the resources of the St. John Lutheran Library. 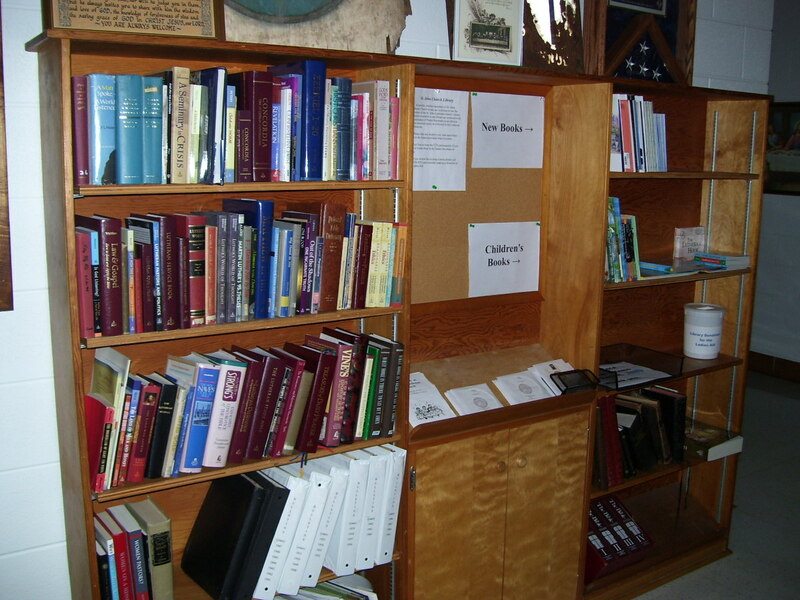 Materials available in our library are screened with the assistance of our pastor in an effort to assure doctrinal purity as reflected in the Lutheran Confessions. The library will operate on a mostly self-serve basis. Anyone is welcome to take a book, CD, or other resource and is encouraged to return it to the library when finished. If there is an item of particular interest that you would like to keep permanently please contact Darrel Behrmann (419-598-8252) to make sure a replacement copy is available and consider making a donation to the St. John Ladies Aid who generously provide financial support for the library. 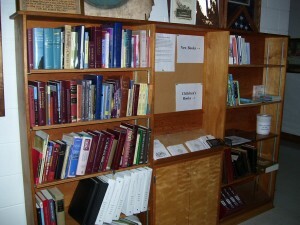 The library is located on the north end of the hallway that is beside main church. CD’s are available from several Lutheran internet based radio shows including The Bible Study, Issues Etc., Table Talk Radio, and The God Whisperers. People are greatly encouraged to request CD’s on any topics in which they may have an interest. Bible Studies of most any chapter of the Bible can be made available. The shows mentioned above have covered just about any topic a person could imagine or have a curiosity. Call (419-598-8252) to request a CD on a specific topic. Do you like to read but are sometimes unsure of the questionable doctrines presented by books that claim to be “Christian” but which may contain theological errors? To help with this the St. John Lutheran Library will, from time to time, feature a specific book containing theologically sound material. You can be sure that Christ and His work for us will be featured. Multiple copies of these books will be purchased by the library to be readily available for anyone wishing to read them. Pastor Niermann will also read the featured book so he will be ready to answer any questions that may occur to you while reading. Just give him and e-mail or call. Look for announcements in the bulletin for when books are featured.